Well, the Academy screening committee has viewed all of the qualifying films for this year's Best Animated Short race, and they've put in their ratings. And the fine folks at PriceWaterhouse Cooper have tabulated all of the ratings, and from that they've figured out the ten films with the highest rating, which were announced last Thursday. These are the ten films that will be moving on, to face another round of showings to be seen by the nominating committee, who will put in their own rankings. The five films with the highest average score will become the nominees to be announced in January. Meanwhile the 50 films that have not made it into the shortlist will be there, either online or in somebody's collection, but largely forgotten. But let's not concern ourselves about those fifty films. We're here to focus on the Best Animated Short category, so let's take a look at the ten films that still have a shot, first for a nomination and then for the win. One of these will be the winner. Which one will it be? Apologies for the late entry, almost a week after the shortlist was announced. I'm sure I could have found time between interview and Ponyville Ciderfest, and dealing with a cold, but as it stands, I was far from being the first blogger to have a more detailed look at the shortlisted films. Tim from the Film Experience, a much more prolific animation historian, beat me to it, but hey, mine has trailers and stuff. Here are the previous entries about the shortlist. Cartoon Brew has been trying to keep track of the films that will be contending for the Academy Award this year, but they haven't been able to track everything. When the longlist was released, there were a few films that were not identified in the Awards Tracker. Of those films My Home was the only one to make the shortlist. When I was trying to track down the films that were not identified I did a search on Google. I found a film by a team of German and Israeli filmmakers called My Home that tells the descendant of a Holocaust survivor and her decision to live in Germany. I thought that was the film that qualified, because it's the Holocaust! However, when the shortlist came out it turned out that the shortlisted film was one directed by a French-Vietnamese filmmaker named Mai Nguyen. 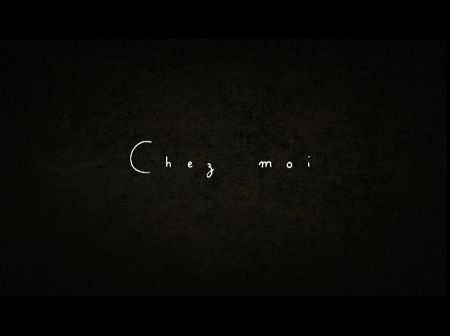 This film tells the story of Hugo, who deals with a mystery involving his mom when he wakes up. Too bad, because the German/Israeli co-production looks more interesting with more appealing animation. Although the film may not be completed yet, so could it be a contender for 2016? Meanwhile have a trailer for the shortlisted film. "Through the magical prism of a marionette theater, a world-weary bear tells his life story." 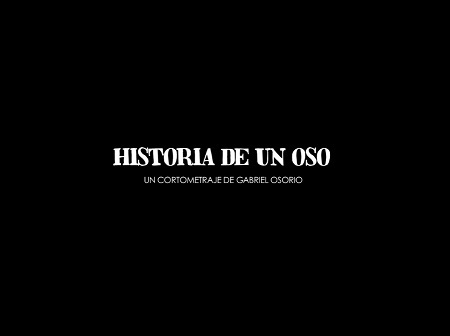 So says the plot summary from one of many international film festivals that played this Chilean film. The trailer is available and it seems like a good mix of high quality animation that mimics the appearance of a marionette theater as seen in a world of anthropomorphic bears with a heart-wrenching story. Looking at the trailer, I bet it's about a bear that was taken out of his comfortable and loving family and forced to live a humiliating life as a circus bear. 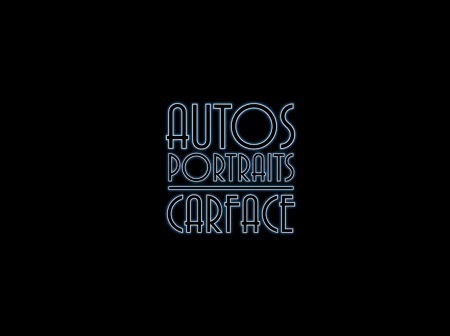 Looks promising, but there really isn't much more to say about this film at this point in time. 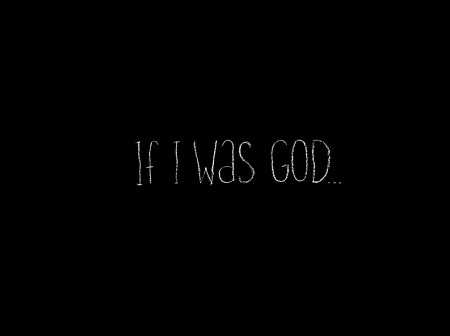 "What would you do if you were 12 and suddenly found yourself charged with God-like powers? Would you use them for good? For bad? Perhaps a little of both? For one Grade 7 boy whose mind starts to wander while dissecting a frog in Biology class, the possibilities seem endless: having the power to toy with life and death, to create monsters who can punish those who torment him daily (in particular, Augie, who sits in the back row), and, more importantly, to create that one perfect day with Lily, the love of his 12-year-old life." Cordell Barker is kind of a legend in Canada, and why not when your films include the Oscar nominated classics The Cat Came Back and Strange Invaders? He didn't quite strike gold with his last effort Runaway, which at least made the Shortlist, but he's back for another attempt with his latest film, If I Was God..., which takes his zany style and takes it into the medium of stop motion animation. The trailer sure looks to be the case, but even then with Cordell Barker you never know what to expect. "Melissa Johnson hit 6’4’’ tall in 8th grade. 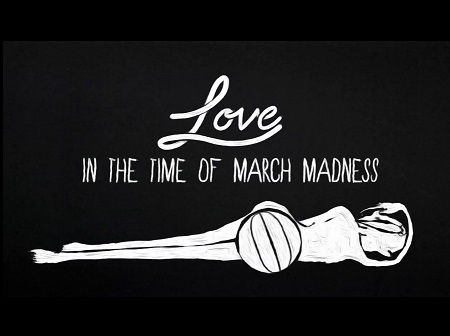 Although this made her an instant basketball star, Love in the time of March Madness follows her hilarious and awkward misadventures in romance as she dates shorter men and gets cheered or jeered wherever she goes." Melissa Johnson has an interesting story. She was a basketball star with Harvard from 1998-2001, and although the team never made a NCAA tournament when she was present, she still excelled and served as a co-captain in 2001. However, rather than go into the WNBA she went instead into the wonderful world of filmmaking. She once made a documentary about another basketball player, and now she is back with an autobiographical film about her early life difficulties trying to fit in despite her prodigious height. The trailer shows some interesting design all in black and white. While the film makes reference to basketball, and sport films have generally not done too well in the Oscars, but it seems like it's more of a human interest story, and maybe that will appeal to the Academy. This is the only film on the shortlist that was readily available online when the list of qualifying films came out. It tells the tale of a large mountain who just wants some rest, but its efforts are constantly interrupted by forces beyond its control. On the surface it's a cute little film, but when you look at it on a deeper level it tells the story of human advancement very much like in the Oscar nominated Das Rad. Plus the mountain goes through a very interesting transformation that forms a nice little arc. Given the fact that this is one of the few films on the shortlist that I've actually seen I could write a little more about it, but why not just watch it yourself? If it does get nominated I'll just deal with a more comprehensive review later. 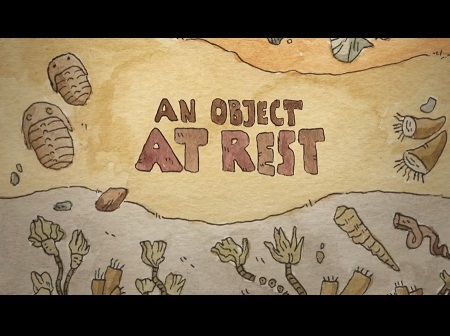 I will note that this is a thesis film from Seth Boyden, a student at CalArts. Considering the list of CalArts alumni include Oscar winner John Lasseter, Powerpuff Girls founder Craig McCracken and his wife, potential future Oscar winner Lauren Faust, I think this won't be the last the animation world hears about Seth Boyden. Richard Williams is kind of a legend in the animation business. He is a man that is always wanting to push the boundaries of what can be done in hand drawn animation. He won an Oscar when he was in his 30s for the adaptation of Charles Dickens's A Christmas Carol, and then a Best Visual Effects and an honorary Oscar for his work on Who Framed Roger Rabbit? He is probably best known for his unfinished masterpiece The Thief and the Cobbler, a film that was so mind-blowing in execution that the studios couldn't help but tinker with it and ruin it, turning it into the mangled The Princess and the Cobbler. Twenty years after that fiasco, Richard Williams is finally back to make a film that he's wanted to make almost his entire life. After years of work, it is finally finished and ready for competition. 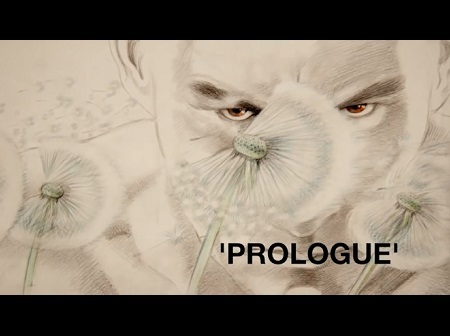 It is a film called Prologue. Not much is known about the film other than the fact it's about the Spartan/Athenian war and that it's so complicated on an animation level that he didn't start to try to make it until his 70s. The trailer has two minutes of Williams talking about animation and 23 seconds of footage, but what it shows is something quite awe-inspiring in its depiction of action. It's something worth waiting for and worth watching...as long as no film executive try to mess with it. Sanjay is a little boy who is the son of Indian immigrants. He has become assimilated into the American culture, being a fan of the Super Team group of superheroes. However, his parents are still tied into their traditional Hindu culture. When Sanjay's love of superheroes interferes with his father's religious practices, he has to find a way to get them to come together. Pixar has won a lot of Academy Awards in the past 30 years, but most of them have been in the Best Animated Feature category. They only have three wins in the Best Animated Short category, with the latest coming in 2001 with For the Birds. Since then they've had seven wins in the Best Animated Feature category and none in the Best Animated Short category. Well, they are trying again with Sanjay's Super Team, the film attached to the upcoming masterpiece The Good Dinosaur. This story explores the complicated relationship between tradition and modern pop culture. There may be some concern about how Pixar will handle such a sensitive topic, but Pixar's always been good about treating emotional topics with skill, and the director is the son of Indian immigrants and based the story on his own experiences. So it should be worth watching in theaters on Thursday. Two men training to be cosmonauts find themselves developing a strong friendship. They do everything together and excel over the rest of the training class. Can they reach the shared goal of going into space together? Russia has had an illustrious but underappreciated history within the world of animation. Lev Atamanov's The Snow Queen from 1957 strongly influenced a young teenager in Japan to enter the world of animation. Yuriy Norshteyn was a renowned animator whose films including Hedgehog in the Fog and Tale of Tales are among the most acclaimed animated films in history. Alexsandr Petrov became the first Russian animator to be nominated for an Academy Award and won for The Old Man and the Sea (although My Love is my favorite film of his.) He was later joined by Konstatin Bronzit, whose Lavatory Lovestory was nominated in 2008. The film was well received for its tender emotions and simple animation. 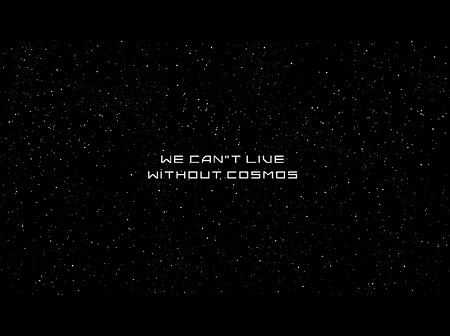 A few years later came his follow up, We Can't Live Without Cosmos. The film was initially touted by Cartoon Brew as a possible contender for the Best Animated Short Oscar last year, but it ended up not qualifying until this year. This appears to follow the same formula as Lavatory, with simple animation and presumably powerful emotions. But because I haven't gone to film festivals or the Animation Show of Shows, I haven't actually seen it. Oh well. One day a little girl named Emily goes playing and comes across a strange beeping console. Being four years old, she presses a bunch of random buttons and an adult woman comes on the screen. She tells Emily that she is from over 200 years in the future, and she is a clone of a clone of a clone of Emily. She explains to little Emily a little bit about what their world was like, and even transports young Emily Prime to the future to see for herself. She tells the original Emily a little bit about her life before revealing to her the true purpose of the call, something more shocking than anyone could ever know. Don Hertzfeldt is one of the most celebrated animators in the business. Despite his deceptively simple stick-figure animation style, he challenges viewers with his special camera effects, his non-sequitur storytelling style, and his musings on serious themes such as death and loneliness. He was Oscar nominated with his first post-graduation film in Rejected, which later became an online cult classic even more well known than the film that won the Oscar that year. However, after that early success, the Academy had kind of glossed over the rest of Hertzfeldt's work, which seem to steered away from the black humor of Rejected and more into serious contemplation. Even the three short films that make up his magnum opus It's Such a Beautiful Day were denied nomination despite being on the qualifying list (although the first film Everything Will Be OK made it onto the shortlist). 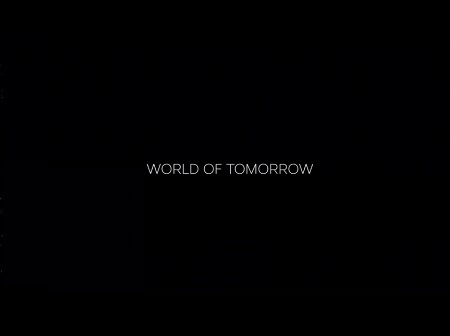 After years of working with pen and paper, World of Tomorrow marks Hertzfeldt's debut in the world of digital media (alongside an especially memorable Simpsons couch gag). He was initially going to keep it to himself but the 16-minute film he crafted was so full of tender emotions that he had to release it to the public, which he did through Vimeo on Demand. There is much I can say about this film's story and animation, but I'll let you watch it yourself. I will note the exceptional voice acting, which includes animator Julia Pott (Belly) as Emily from the future and Hertzfeldt's own niece as Emily Prime. The stark differences between the jaded Emily of Tomorrow and the innocent Emily Prime gives the film much of its dramatic impact. I could say more, but why don't you just watch it for yourself? Bold, I'm sure, but hey, that's the beauty of the time period after the shortlist is announced and the nominees are set in stone. You can predict anything you want.